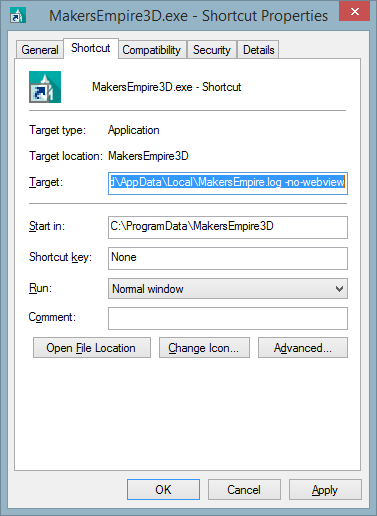 How should I configure proxy and other settings in Makers Empire 3D for all users? 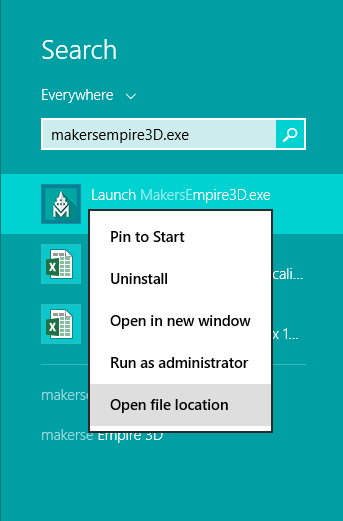 There are a few different methods for configuring proxy details and other settings in Makers Empire 3D on Windows. 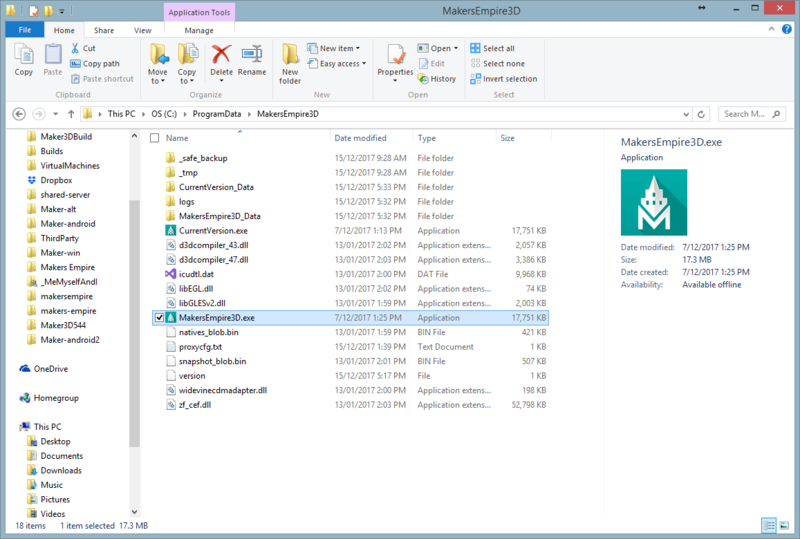 These methods affect the behaviour of Makers Empire 3D regardless of which Windows user is logged in. A similar process can be followed to specify the Region (e.g. China, UAE) and Teacher Pin (only relevant to UAE at the moment). To enable one of the settings, edit the file and remove the '//' characters from the start of the relevant line. If you use the group policy system to install remotely it may be easier for you to specify these settings in a transform. You can do this with Orca (download from here). Open the .msi with ORCA, and click Registry on the left section of the screen. 6) Choose a location to save the .mst file and use it with your group policy deployment etc. 3. Right click on the shortcut file and edit the target section to include the extra options (include the logfile one if you want to keep the standard log behaviour). E.g.